Our love for Austin Habitat started when we owned our sign shop. We donates site signs, took teams of employees our for build days and raised funds. We continued that involvement with Tracker Systems. 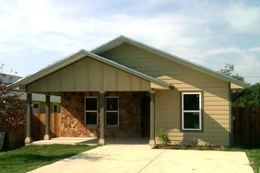 This is our annual fund drive to help raise over 65K to build a home for a family in need. "Good Luck Joe! Hope everything is going well. Bill and Dawn"
"Hey sis and Joe good luck with the build "
"Good luck Joe. Great cause!"